Welcome, we are so glad you stopped by! 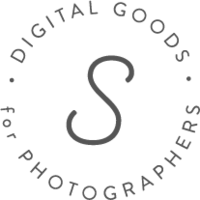 We create custom brand identities and website design for photographers and creative businesses. In addition, we design website templates, pre-made brands, stationery sets, and marketing suites to help you excel in your market. Bundle the Showit web template with the client hub add-on design and save $50!! We are proud to offer a select collection of custom branding and website services for photographers and other creative businesses. Whether you are just starting out or looking to take your existing business to the next level, we are ready to get you where you need to be. Our goal is to provide you with a look that not only you would be proud to show off, but also one that will attract those clients you've always dreamed of having! Handing over the reigns of my websites to Swoone was the best business decision I've ever made. Not only did they tie up all of the loose ends that were collecting dust on my to-do list, but they took my website to a whole new level. My only regret is not hiring Swoone sooner! Swoone was, and continues to be a very helpful resource for me. They helped me create a brand that I am confident putting in front of clients and made sure I was happy with each change and at every step. It is professional, classy, clean and beautiful. I couldn't be more happy with my website and the beautiful Olive Marie template but more than that the service that Swoone provided was amazing. They made switching my website to a new template so easy. Love the designs and team that make me Swoone! Working with Swoone was such a great experience. They took the time to get to know us and our vision. Our business' values and personalities are now exposed through our brand. Everything from the business side to the design side was easy, professional, fun, and accommodating. Creating and building a website can be stressful, but Swoone make the entire process fun and exciting. Swoone listened to my desires and created a beautiful page that showcases my work alongside reviews from my amazing clients. They exceeded my expectations every step of the way!